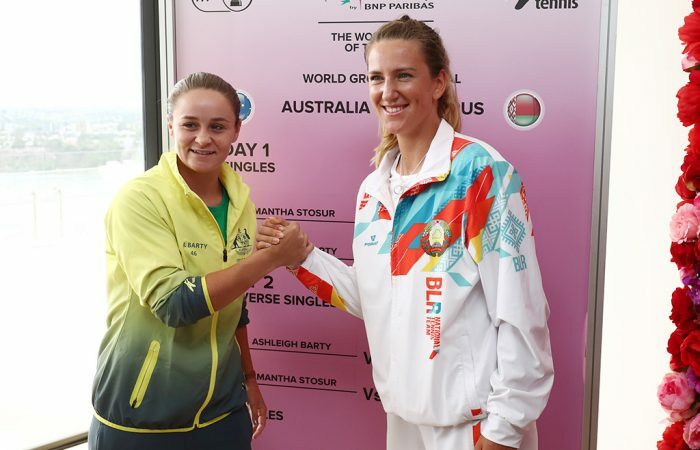 Australia now has five women ranked inside the top 100 in singles, with Astra Sharma making her debut this week. 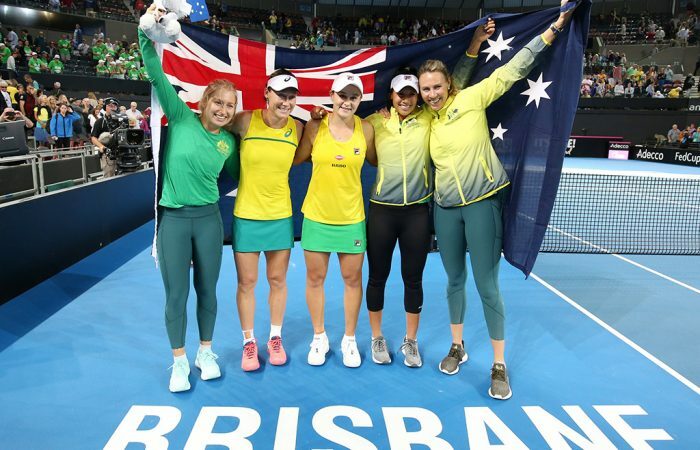 After beating Belarus 3-2 in an electrifying semifinal in Brisbane, Australia now turns its attention to the Fed Cup final against France on 9-10 November. 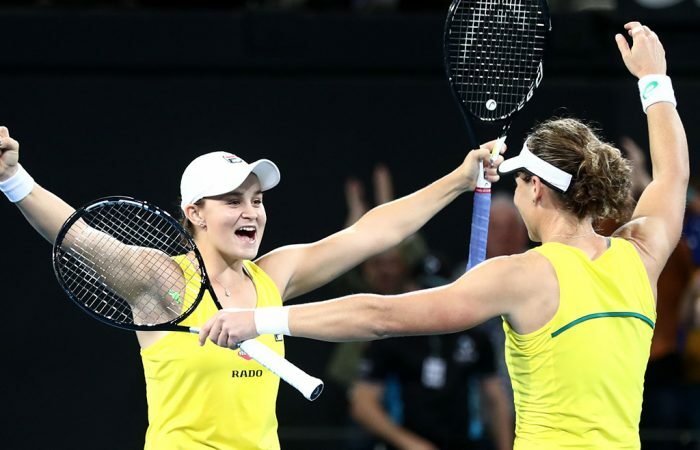 Ash Barty and Sam Stosur teamed up to complete a thrilling doubles victory over Victoria Azarenka and Aryna Sabalenka - sending Australia through to the Fed Cup final. 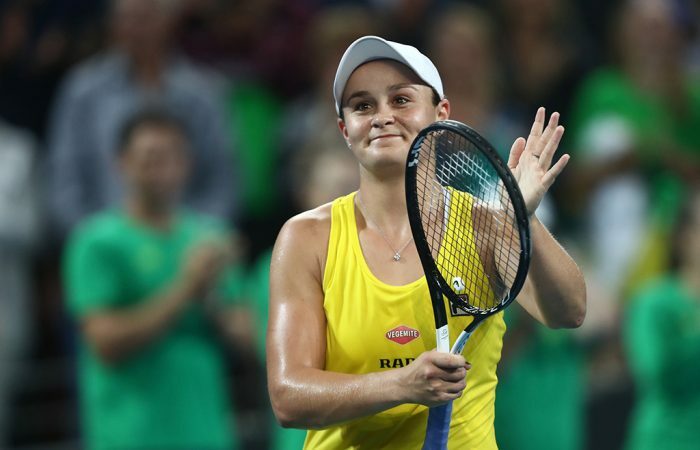 Thanks to a commanding display of tennis from Ash Barty, Australia now stands just one rubber victory away from the Fed Cup final. 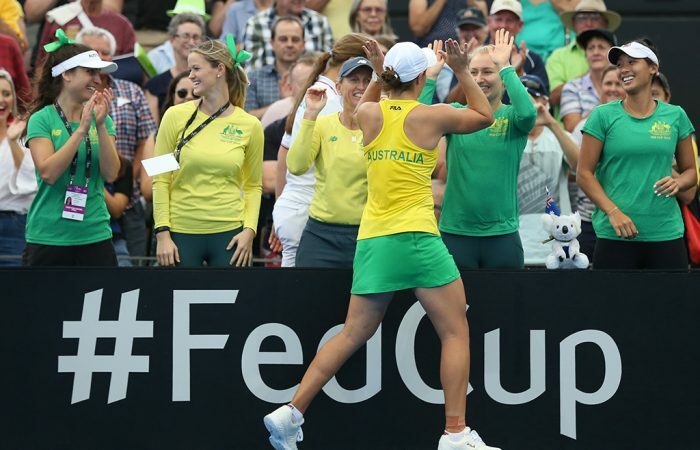 Ash Barty's straight-sets win over Victoria Azarenka sees Australia and Belarus locked at 1-1 going into the final day of their Fed Cup semifinal in Brisbane. 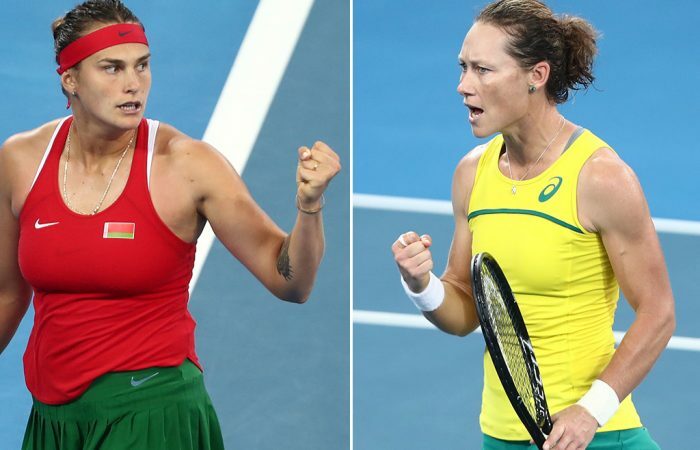 In a high-intensity battle spanning almost three hours, world No.10 Aryna Sabalenka eventually got on top of Sam Stosur to give Belarus a 1-0 lead over Australia in Brisbane. 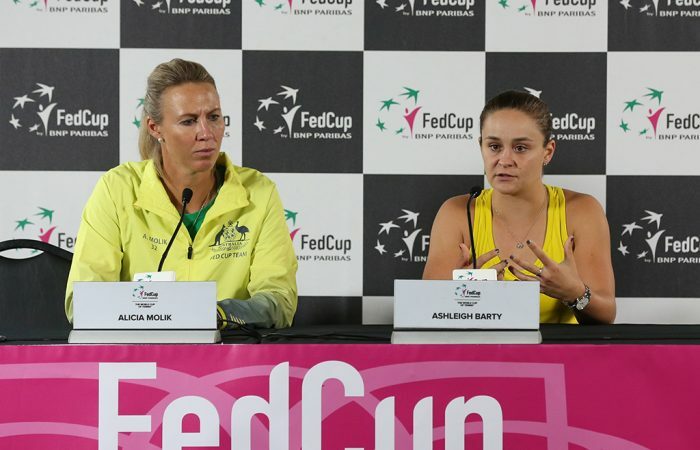 Australia's Ash Barty will take on new doubles partner Victoria Azarenka of Belarus in the second singles rubber on Saturday in the Fed Cup semifinal. 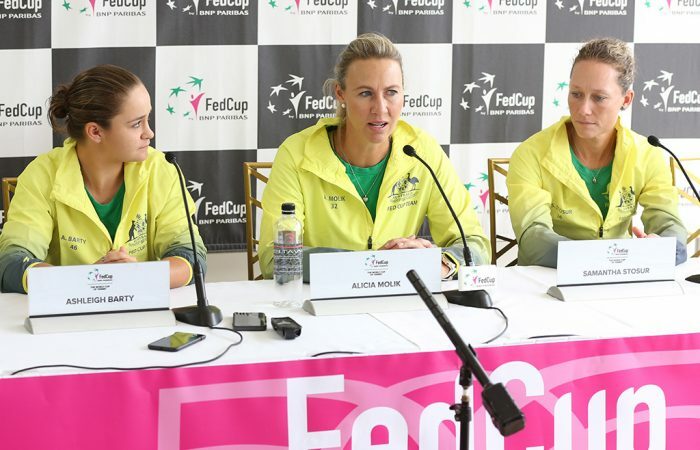 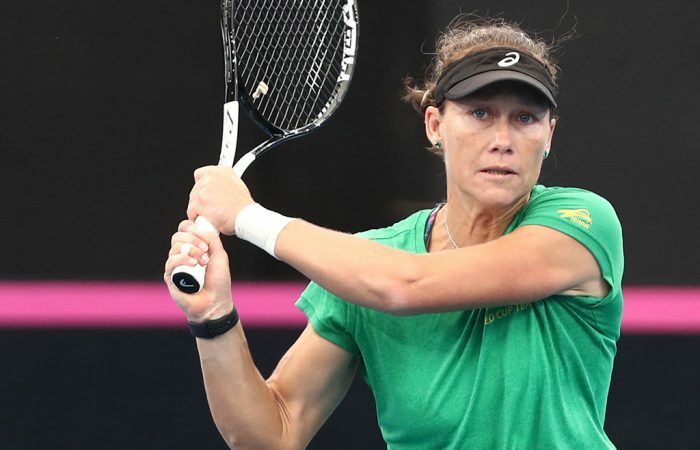 Sam Stosur and Aryna Sabalenka will kick off the Fed Cup semifinal between Australia and Belarus before Ash Barty takes on Victoria Azarenka.